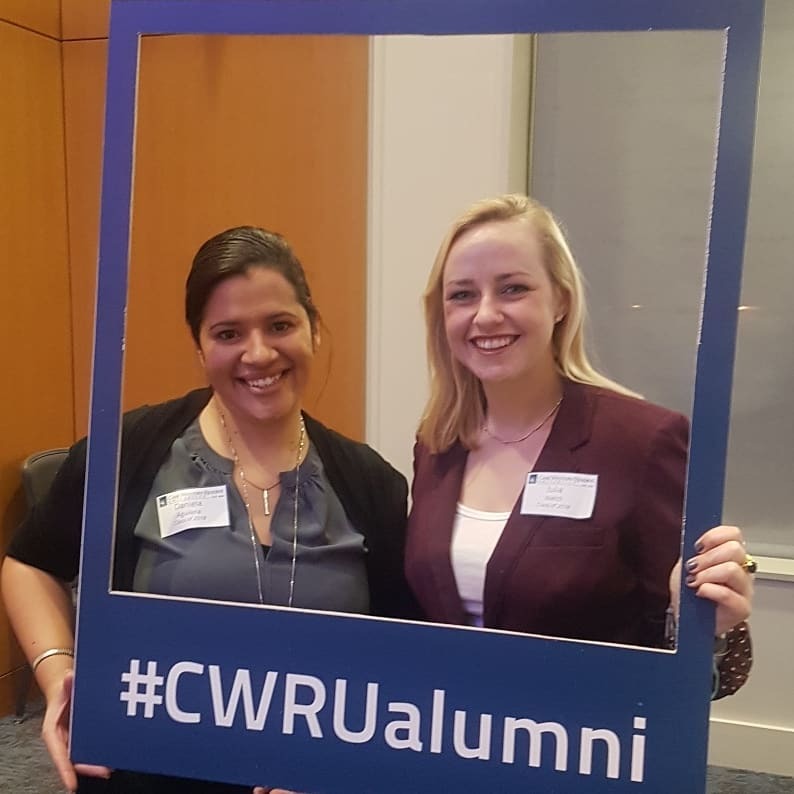 Daniela Aguilera and Julia Welch, both December 2018 Weatherhead School of Management graduates, are among the top 64 teams in the world participating in the Association for Supply Chain Management (APICS) and Deloitte Regional Case Competition. The pair, earning the spot while students in Operations Research and Supply Chain Management, advanced from the first round of the international competition to represent Weatherhead this February in Atlanta. The first round of the competition consisted of 472 teams from across the world. The top eight teams in each region were invited back to the second round, and from there, the top team from each region will be invited to attend the finals. Regionals will be held in Boston, Chicago, Atlanta, San Francisco, London, Mexico, Singapore and India. The competition focused on a leading technology company who developed a new version of their most popular product. The new competitive product was smaller than its predecessor and breaking new ground in cost as it was projected to sell at half the price of the current version. The challenge for the company was its supply chain costs accounted for a much larger percentage of the overall products selling price than it should. The main objective of the competition was to determine, using the data and information from the case, which aspects of the supply chain provided opportunities to reduce costs and by how much. Aguilera and Welch analyzed the data and diagnosed the current situation, then recommended and quantified specific actions and tactics based on Six Sigma methods, supplier consolidation, transportation optimization strategies, logistic analysis, and demand and customer orientation. “Participating in this case has been a great experience for us and has allowed us to apply different concepts we’ve learned through courses to cases similar to those we may encounter in the future,” Welch added. One winner from each region will be selected in February. The final round will be held in Las Vegas in September 2019.